Susan Buck has worked in the field of paint and finishes analysis since 1991 and has led the evolution of the field of architectural paint research from an observational craft-based approach to a scientific field incorporating analytical techniques derived from art conservation and cell biology research. She completed her Ph.D. in Art Conservation Research at the University of Delaware in 2003 where she won an outstanding dissertation award from the College of Arts and Sciences. Susan has a BA with a concentration in Studio Art from Williams College, an MBA from Boston University, and an MS from the Winterthur/University of Delaware Graduate Program in Art Conservation (WUDPAC) where she co-teaches a course in cross-section microscopy analysis for art and architectural materials. She worked for seven years as a furniture conservator and paint analyst for Historic New England with a specialty in painted furniture, before she began her Ph.D. studies in architectural paint analysis. Her private conservation work includes paint and finish analysis for objects and architecture, as well as conservation treatments, for institutions including Colonial Williamsburg Foundation, Mount Vernon, Monticello, Montpelier, Historic Charleston Foundation, Historic Annapolis, Historic Deerfield, The Metropolitan Museum of Art, MESDA, Drayton Hall and the World Monuments Fund Qianlong Garden Conservation Project in The Forbidden City in Beijing. 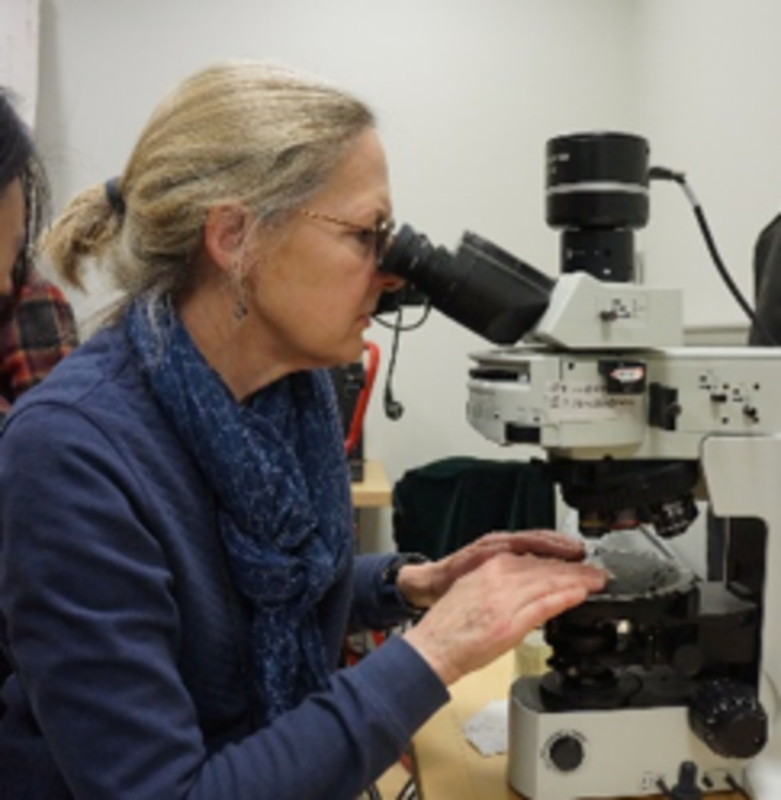 She also teaches optical microscopy analysis techniques to students enrolled in the new World Monuments Fund -- Palace Museum -- Tsinghua University Conservation Resources for Architectural Interiors/Furniture and Training (CRAFT) graduate program in Beijing. Students completing that program are awarded an MS from the Tsinghua University Architecture Department and are now leading the field of architectural preservation in China. Susan lectures widely in the US and China, and has published more than 16 articles, including three that were translated for Chinese publications.